We should all hope to be as healthy and have lived such a life. Last month, I received a call from a long-term client and friend of mine, Mrs. Mary Ellis. 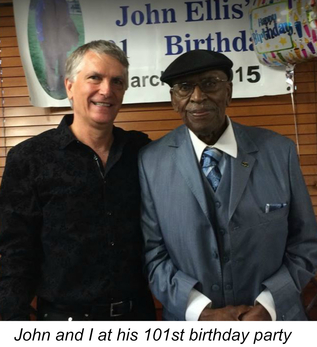 She reached out to inform me that her husband, John, had passed away at 104 years old. John was a real treasure and he will be greatly missed. This unfortunate news just reminds me that the clients my team and I meet with everyday are important, and they really appreciate our team’s help, thoughts, hard work, and inspired legal work.